Foam has the ability to form an aqueous film which quickly over water-insoluble hydrocarbon fuel surfaces causing rapid fire extinguishment and vapour suppression for class b fires. Also it provides excellent penetrating and wetting qualities when used on class a fires. 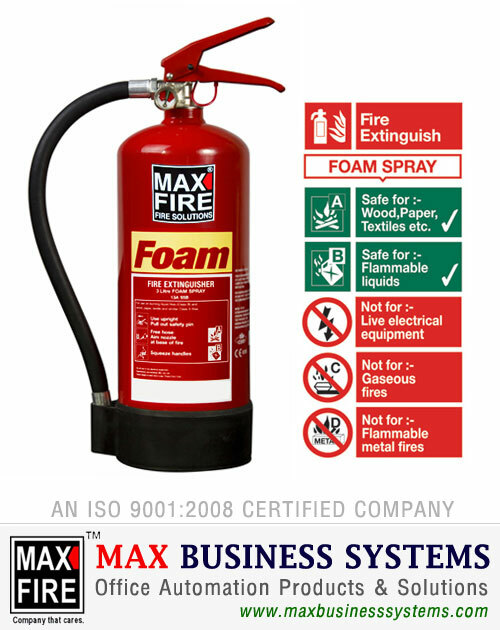 Hence, foam extinguishers are ideal for fires involving volatile liquids and freely burning materials such as lubricant, oil fires, paper, cloth, wood, etc. Warning : Do not use on electrical fires.